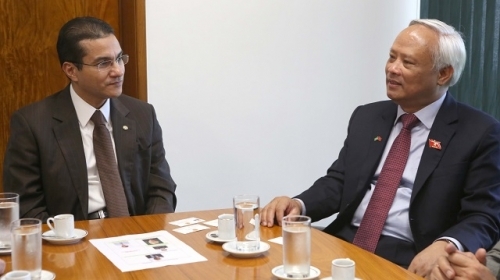 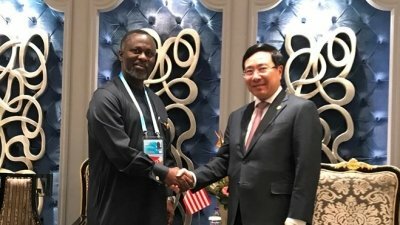 NDO/VNA – Deputy Prime Minister and Foreign Minister Pham Binh Minh has had a meeting with Nathaniel F. McGill, Chief of Staff in the office of the Liberian President, when he attended the second Belt and Road Forum for International Cooperation in Beijing between April 25 and 27. 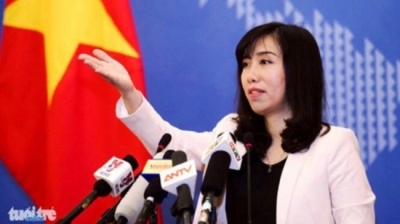 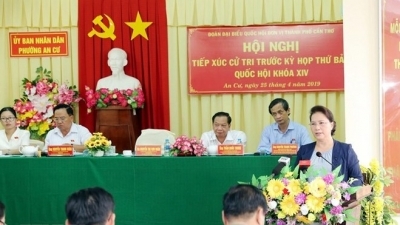 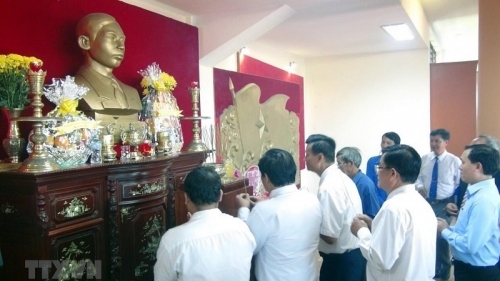 NDO/VNA – Chairwoman of the National Assembly Nguyen Thi Kim Ngan made clear a lot of issues raised by voters in An Cu ward, Ninh Kieu district, in the Mekong delta city of Can Tho, during her meeting with them on April 25. 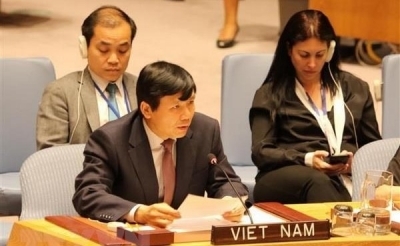 NDO/VNA – Party General Secretary and State President Nguyen Phu Trong will soon return to work as normal, Spokesperson of the Foreign Ministry of Vietnam Le Thi Thu Hang has stated. 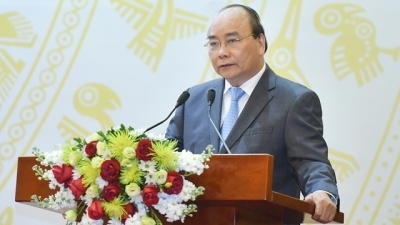 NDO/VNA – The Vietnamese Government creates optimal conditions for foreign businesses, including those from China, especially firms that have financial and technological potential, to invest in Vietnam for mutual benefits, Prime Minister Nguyen Xuan Phuc has said. 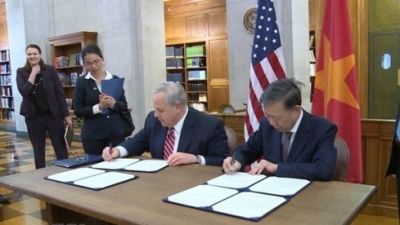 NDO/VNA - Minister of Public Security, Gen. To Lam held working sessions with US officials in Washington DC on April 24-25 as part of the activities in the framework of his ongoing visit to the US. 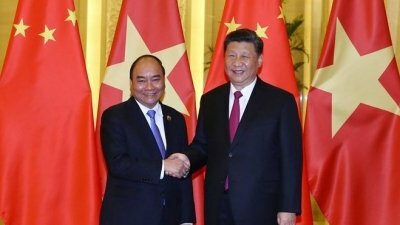 NDO/VNA – Prime Minister Nguyen Xuan Phuc met with General Secretary of the Communist Party of China and President of China Xi Jinping in Beijing on April 25. 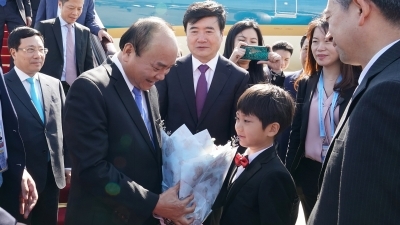 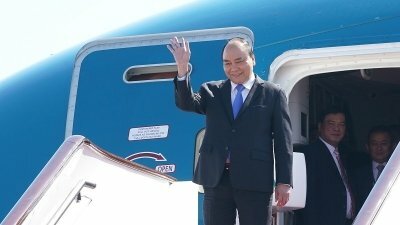 NDO/VNA - Prime Minister Nguyen Xuan Phuc arrived at the Beijing Capital International Airport of China on the morning of April 25 to attend the second Belt and Road Forum for International Cooperation (BRF), which takes place from April 25 to 27. 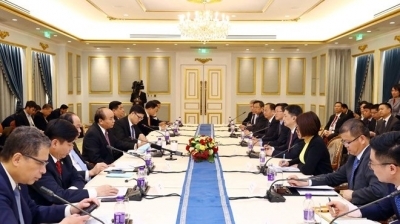 NDO - Vietnamese Prime Minister Nguyen Xuan Phuc today heads a high-ranking delegation to attend the second Belt and Road Forum for International Cooperation in Beijing, at the invitation of Chinese General Secretary and President Xi Jinping. 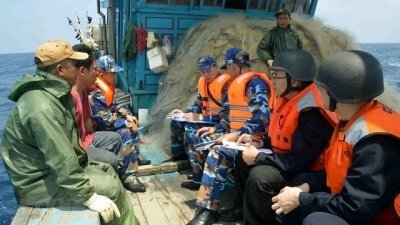 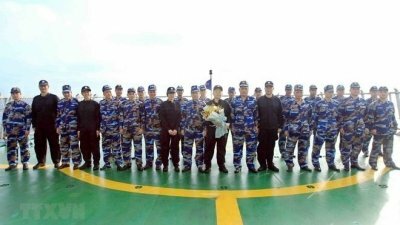 NDO/VNA - The Vietnamese and Chinese coast guards began their joint fishery inspection for 2019 in the Gulf of Tonkin on April 24. 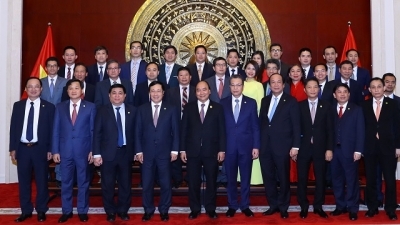 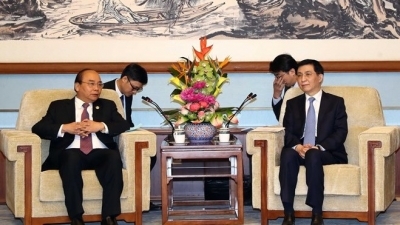 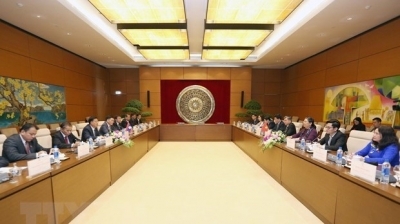 NDO – Prime Minister Nguyen Xuan Phuc and a high-ranking delegation of Vietnam left Hanoi on April 25 morning for the second Belt and Road Forum for International Cooperation in Beijing, China, from April 25 to 27. 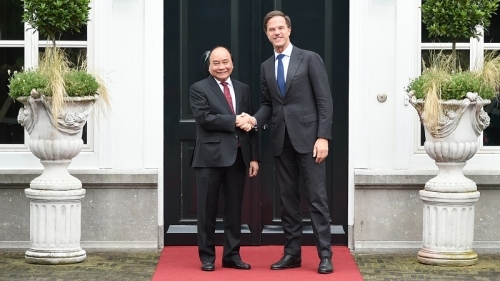 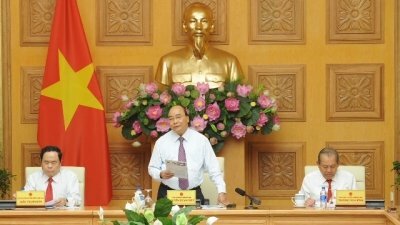 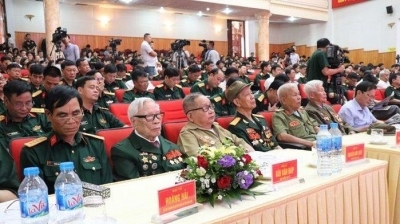 NDO/VNA – Prime Minister Nguyen Xuan Phuc on April 24 stated that joint work between the Government and the Vietnam Fatherland Front (VFF) needs to be more practical and effective. 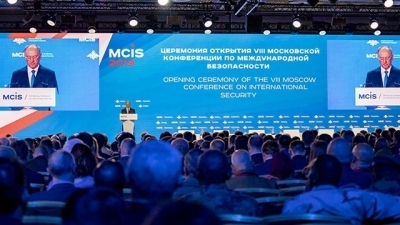 NDO/VNA – A high-ranking military delegation of Vietnam is attending the eighth Moscow Conference on International Security that opened in the Russian capital on April 24. 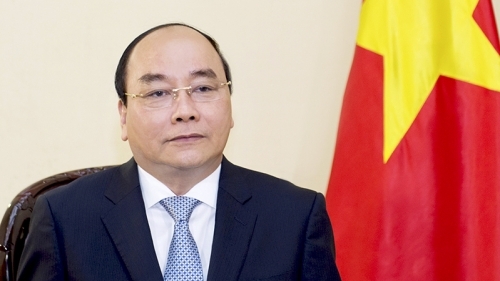 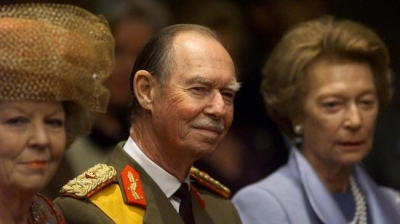 NDO/VNA – Party General Secretary and President of Vietnam Nguyen Phu Trong on April 24 extended condolences to Grand Duke Henri of Luxembourg on the passing of his father, Grand Duke Jean.